Have you ever wanted to create your own unique brand of beer? Would you like to offer your customers a unique product only available at your establishment? Do your customers like bespoke craft ales? We offer delicious craft beers that you can label with your own branding. Choose from a number of different beer styles including lager and craft ale! Craft Ale – It is a light, hoppy, pale ale made with Maris Otter grain and Cascade hops producing a delicious, fresh tasting ale with an ABV of 5%. Lager – A modern interpretation on Munich Helles-style lager at 4.1% ABV. Crisp and refreshing it has floral, citrus and peach aromas from the late addition of Slovenian Aurora and American Amarillo hops. Private label products, such as own label beer, refer to products manufactured by us offered under the brand name of your company. Add a QR code to your label to enable your customers to easily scan and link up to your social media pages or website. A perfect way to extend you advertising. 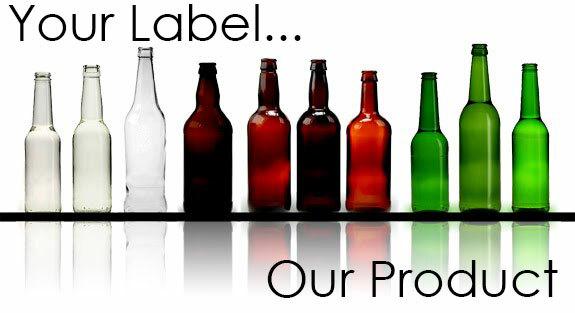 All prices include beer, bottles, label and label application. Prices do not include delivery, VAT or optional label design (from £40). If you are going to create your own label designs, please check out the label requirements. If you would like more info or would like to arrange a meet up, please drop us an email in the form below or phone Liz on 07789 897 278.